Science-fiction films and TV shows are famous for creating out-of-this-world gadgets to help create the illusion of a futuristic world. But sometimes the art department looks a little closer to home for inspiration. Here are a few real gadgets that stand in for future technology in some of your favorite sci-fi universes. 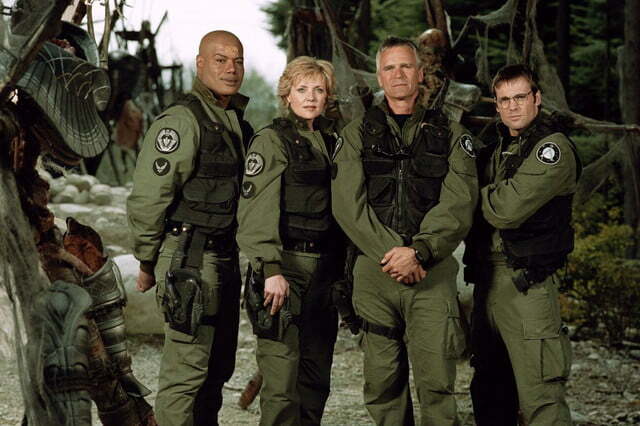 Stargate SG-1 and its sister series are almost unique among space-faring TV shows in that they’re set in the present day — most of the technology that Stargate Command uses is conventional, semi-real military and consumer tech augmented with some fictional alien hoodoo. It’s almost appropriate, then, that as the series stretched closer to Star Trek levels of technology-focused sci-fi in the later seasons, the prop department simply grabbed a real Earth gadget for team members’ handheld computing needs. At various points in Stargate SG-1 and Stargate Atlantis, you can see the scientist characters using a curvy little PDA-style gizmo to detect alien artifacts, re-activate ancient satellites, or control sci-fi energy reactors. 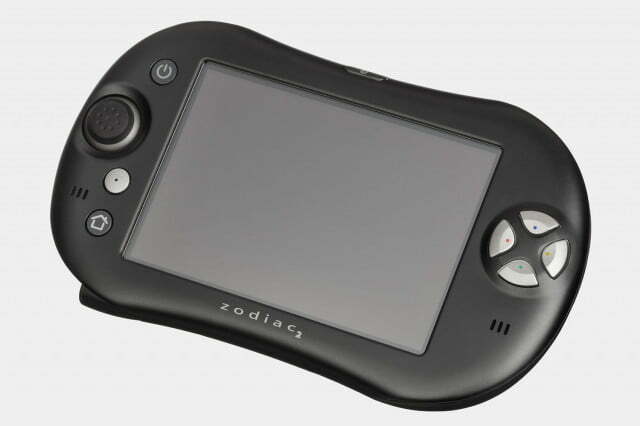 That gizmo was in fact a Tapwave Zodiac, a one-off design that attempted to create a portable game machine running a modified version of Palm OS. Since the Zodiac was from a time when most handheld computers lacked both cellular and Wi-Fi connections, it seems unlikely that you could use one to shoot Wraith hive ships out of the sky. In Ender’s Game, a group of children are trained by the military to command enormous space battles against an intractable armada of Buggers. 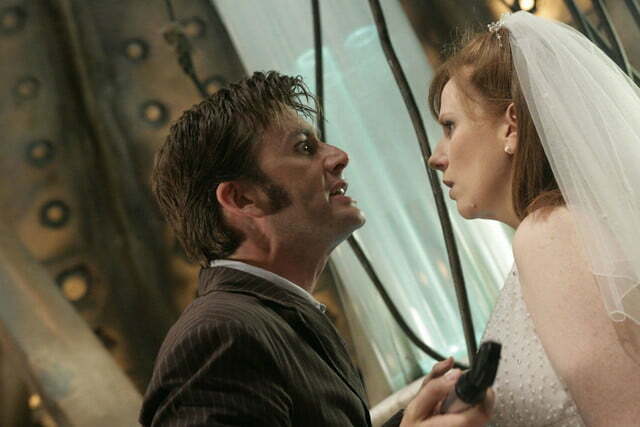 (You, in the back, stop laughing.) 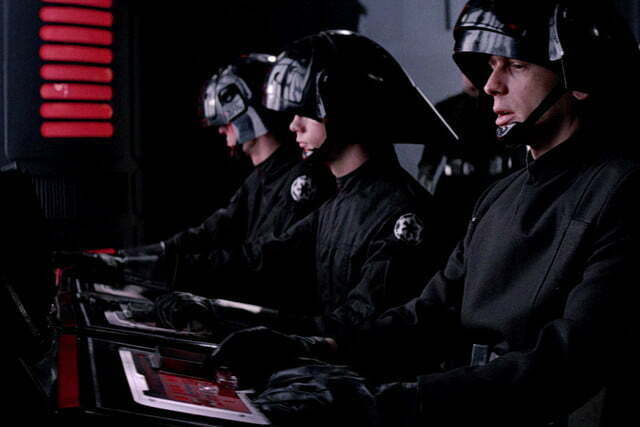 Since the climax of the movie revolves around an incredibly high-stakes, holographic war game, it’s only natural that the fleet commanders would use setups that looks surprisingly similar to gaming PCs. there’s a bit of holographic movie magic thrown in, and Ender himself is in the middle like a conductor on a Minority Report orchestra, but the Battle Schoolers themselves kind of look like they’re playing Starcraft. 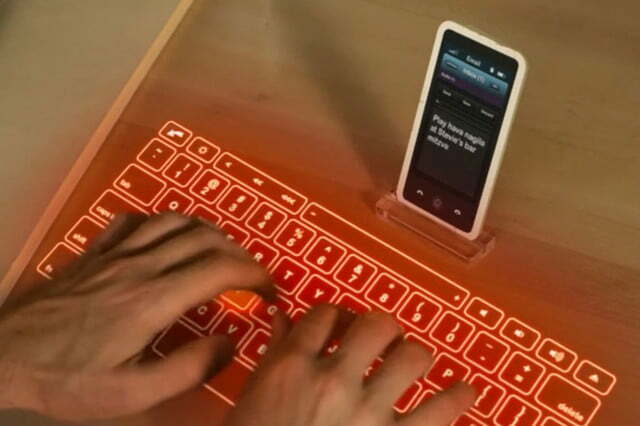 The setups include some suitably futuristic one-handed keyboards that the kids use to give commands to their holographic fleets. 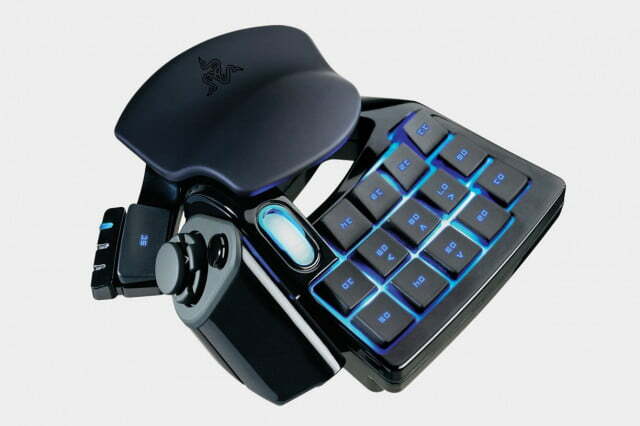 But regular PC gamers will be able to tell that they aren’t that futuristic: They’re actually the Razer Nostromo, a left-handed pad that’s designed to replace a gaming keyboard while your right hand uses a mouse. Razer adapted the design from the old Belkin N52 series of pads, then named it after the 1904 epic naval novel, or more probably, the spaceship from Ridley Scott’s Alien. And so the circle is closed. 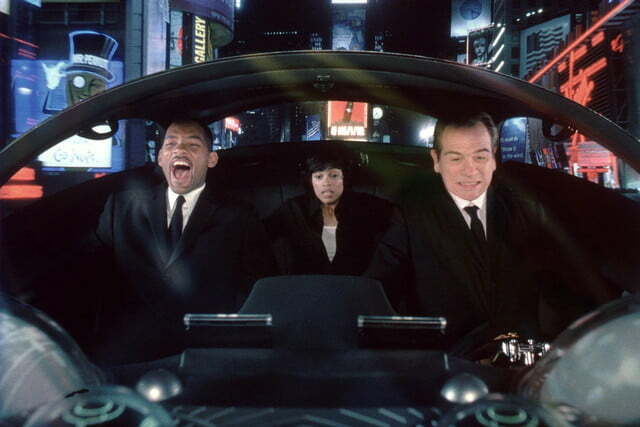 One of the more iconic scenes in the original Men In Black is when Will Smith’s Agent J presses the “Little Red Button” and sends the Crown Victoria into rocket mode. For the reprised scene in the sequel, Agent K (Tommy Lee Jones) is in the driver’s seat, and instead of a speed boost, he’s piloting a flying car with an alien-looking steering mechanism replacing the steering wheel. J’s quip about the Game Boy is obvious to anyone who plays video games, as the replacement control mechanism is actually just a Dualshock controller painted silver with a few extra graphics stuck on. 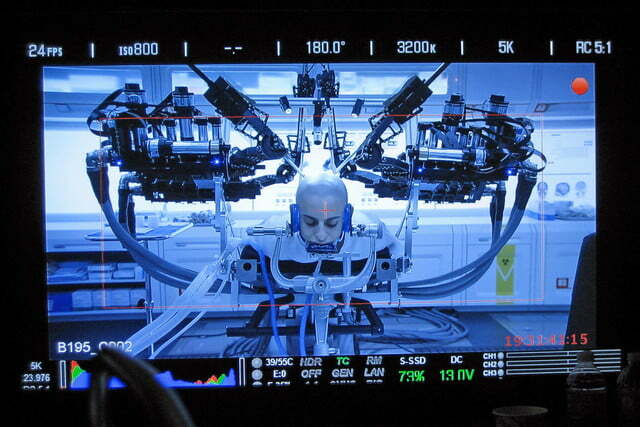 The prop choice may or may not have something to do with the movie’s production company, Columbia, owned by Sony, which is infamous for its heavy-handed product placement. 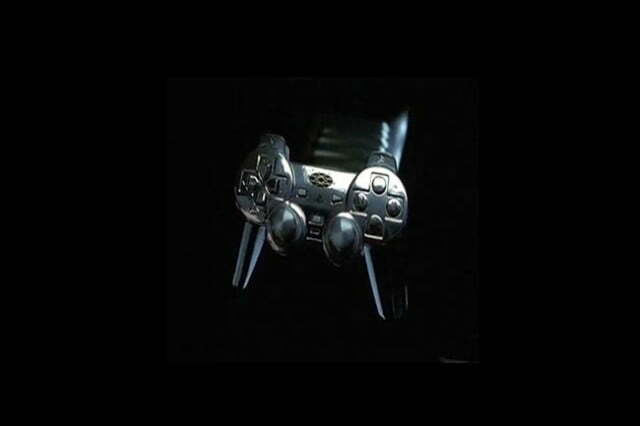 (The intact PlayStation logo means it’s probably intentional.) Whatever the reason, gamers could probably tell you that standard twin-stick gamepad is actually surprisingly efficient for flight control. It’s interesting how science fiction, despite often being set far in the future (or “a long time ago in a galaxy far, far away”), seems to reflect contemporary technology. 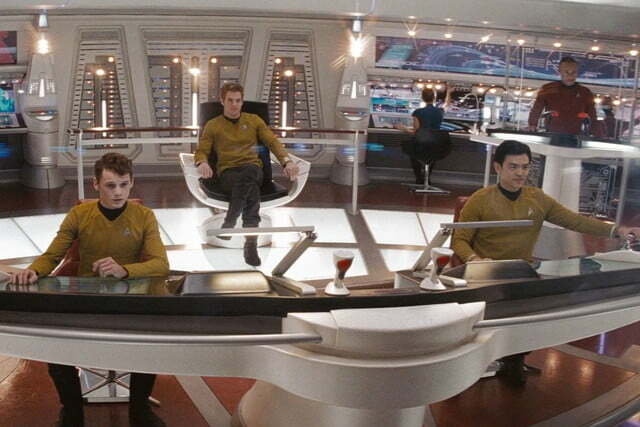 For example, the gadgets in the original Star Trek series (late 1960s) seems to rely on an awful lot of buttons and knobs, but they’re replaced with touchscreens by the time The Next Generation (1980s and 90s) rolls around. 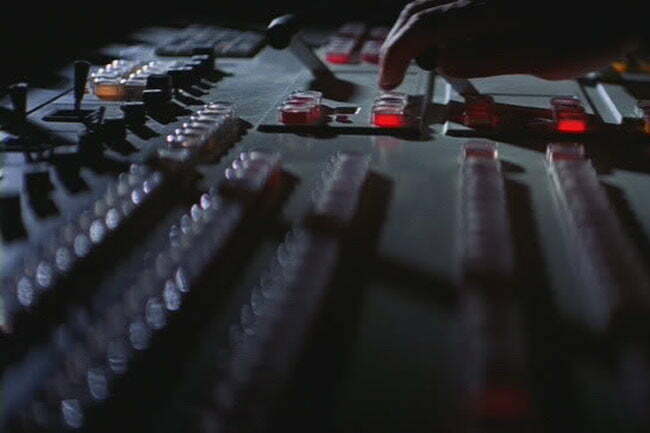 Star Wars’ infamous Death Star seems to fall squarely into the “buttons and knobs” category when it comes to controls. Video editors who watched the original movie in 1977 might have felt a little odd during the famous destruction of Alderaan, since the laser control panel looks a lot like a video switchboard. A very specific one — the ISI/Grass Valley Switcher. The story goes that director George Lucas cut in a few split-second shots of a real video editor working at local Los Angeles TV station KCET to get the right look. In the near-future British dystopia of V For Vendetta, everyone has to watch out for Big Brother the Norsefire Party. The oppressive government constantly monitors its citizens, which leads to the widespread use of anti-surveillance devices by the titular vigilante V and other characters to keep their discussions private. 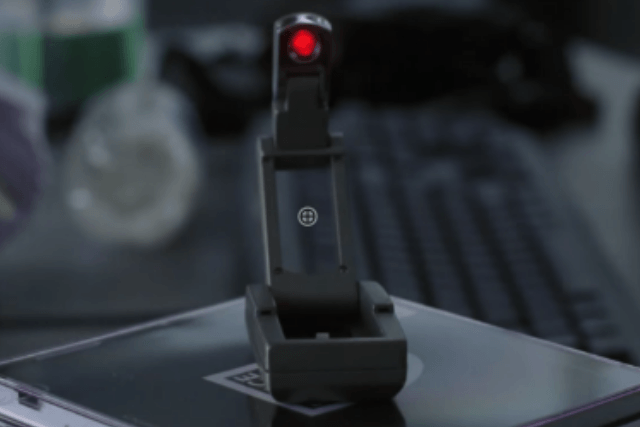 CONTROL’s Cone of Silence from Get Smart might have worked better than V’s bug-proof gadget, since the latter is an ordinary book light. You know, the kind you see on nightstands, long airplane flights, and drugstore bargain bins. You can see the more conventional version in the video below. The prop master probably liked this particular model because of its spring-loaded, flip-out design. Swap the white LED in the lamp for a red one, and bingo, you’ve got a futuristic anti-snooping gizmo.